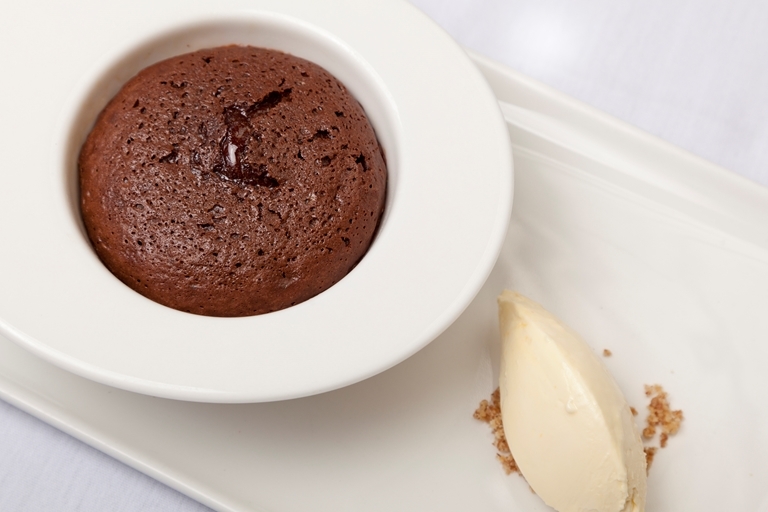 Very few people can resist a chocolate dessert, and this chocolate pudding recipe by Galton Blackiston is more tempting than most. The recipe has a relatively short cooking time which means the centre remains molten and becomes a self-saucing pudding. Buy the best quality chocolate you can afford as it will make a big difference to the end result of this chocoholic dessert. Divide the mixture between the mini pudding basins (the mix should come to just below the top of each basin) and line them up on a baking tray. At this point you can cover with cling film and chill until later.